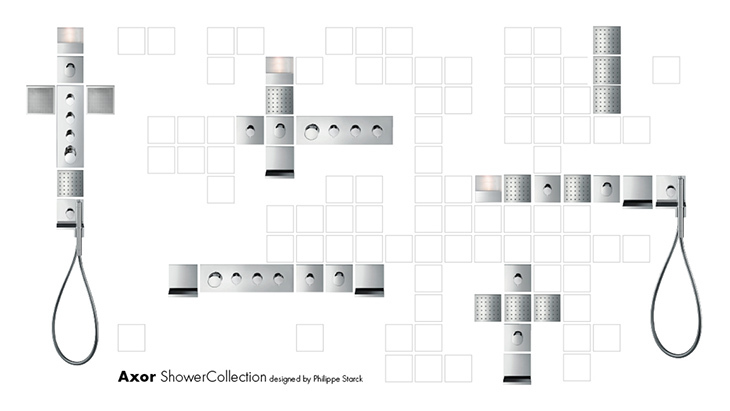 Use the Axor ShowerCollection designed by Philippe Starck to custom design your customer's dream shower. The simple modular system, consisting of showers, mixers and accessories, also provides you with customised, creative solutions for a wide range of different requirements and room scenarios: from standard shower to personal spa. 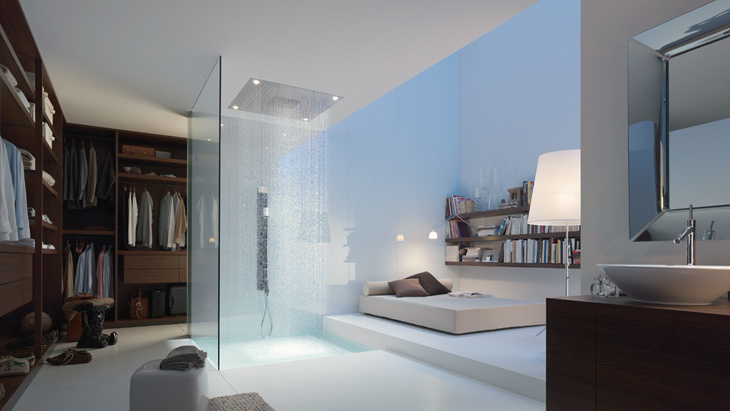 The Axor ShowerHeaven overhead shower comes in two sizes, optionally with a light. It represents showering luxury – three different jet types included. For smaller bathrooms, the 24 x 24 cm overhead shower offers ample showering pleasure. The 12 x 12 cm shower modules offer further usage options: in the form of overhead, neck or side showers. One of the collection's special features is the multi-functional waterfall spout: it can be used to fill the bath tub, in the shower the gush spray can be used for neck massage and the module can be used as an elegant shelf.